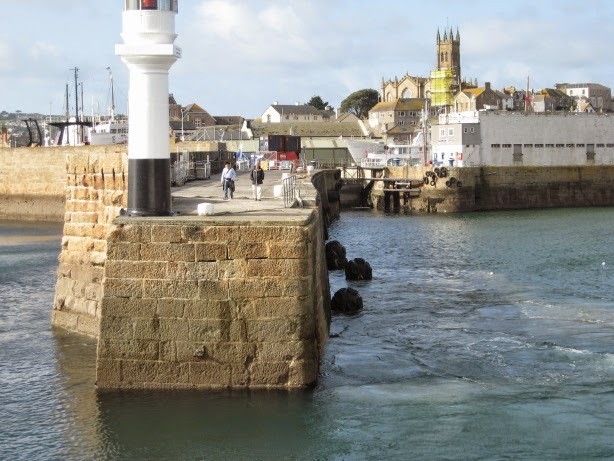 The Secretary of State for Transport , Patrick McLoughlin, has confirmed grant funding of £7.3 million towards the £12.8 million scheme to improve harbour infrastructure at both St Mary’s and Penzance. The remainder of the funding is believed to be coming from the EU (ERDF). The harbour infrastructure works are expected to begin this September and to be completed by June 2015, with the St Mary’s Quay extension to be complete by March 2015 ahead of the summer season. It has since been learnt that the contract for the Work has gone to Keir Group plc who have recent experience of delivering major civil engineering projects on Scilly having built the new Five Islands School. The Penzance works comprise a major dredging of Penzance Harbour and highways improvements in the harbour area. The Marine Management Organization has issued a licence for the dredging work which expires on 30 Nov 2014 . The work is expected to take place in the autumn and involves the removal of approximately 60,000 tonnes of spoil much of which has accumulated over the last 10 years due to lack of maintenance dredging by Penwith District Council and more recently Cornwall Council.